Party Poker´s first venture into feature tournaments in New Jersey was expensive this weekend, as only 173 players entered the first $50,000 guaranteed event. When the first Party Poker New Jersey $50,000 guaranteed tournament was announced last week, Mike Sexton commented that online poker players will not find better value anywhere else this weekend , and boy was he right. Just 173 players ponied up the $185.00 + $15.00 buy-in or qualified online for the tournament – resulting in an overlay of $17,995. Thirty-six players will get paid in the tournament, with a min-cash worth $500.00 ($180 dollars of which is overlay) and $9,125 up top for the winner (overlay $3,285). Party Poker executives in New Jersey will be scratching their heads this morning to determine why so few players took part in their opening $50,000 guaranteed event. Geo-location issues and Mac incompatibility (despite what the marketing blurb says) were responsible for some players being shut out of the game, but – according to the press releases coming out of New Jersey last week – more than 37,000 accounts have been opened since the “soft launch” of online poker in New Jersey. Apparently the “novelty value” of legislated online poker in New Jersey is not as powerful as the poker companies believed it would be. According to the traffic monitoring site PokerScout, just 404 players were involved at the cash game tables on Party Poker New Jersey at the peak of last night´s action – a figure that would not get a “mainstream” RoW site into the top 30 sites in the world. While Party Poker NJ was paying out a massive overlay, the two leading “unregulated” sites providing online poker for US players continued to bust their guarantees. Bovada Poker attracted 931 players to its $100,000 guaranteed Sunday feature with a slightly lower buy-in ($150.00 + $12.00) with the winner collecting $25,144 and 134 other players cashing in the event. Americas Cardroom – probably a more relevant example than Bovada Poker – witnessed 308 players competing in its $200.00 + $15.00 buy-in $50,000, with sixty-three players cashing in the tournament and the winner receiving $12,638. Of the top three “unregulated” sites, only Carbon Poker failed to meet their guarantee, but it was twice as much as that offered by NJ Party Poker ($100,000) and it managed to attract 434 players – more than the total number of players playing cash games on the New Jersey version of Party Poker! Is the Party Over So Soon? With the Thanksgiving holiday over (and apparently Party Poker´s honeymoon period), we wait to see if Party Poker will continue with their ambitious “Sunday Majors” schedule (wonder where they got that name from?). Their seven-series Sunday Majors offered a total guaranteed prize pool of $120,000 yesterday and, with numbers as they currently are and several more online poker providers still to enter the New Jersey market, executives in Party Poker Towers might decide that future “Majors” are too expensive to run. 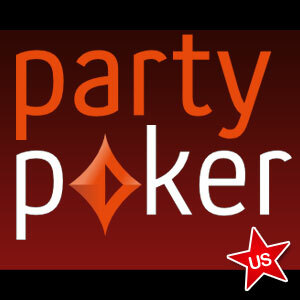 You can find out what the future holds for Party Poker in New Jersey by following @PokerSites.us on Twitter.